Home Blog	Travel and Tourism promote Swim With the Dolphins programs – But should you? According to a survey in 2005, 81% of the respondents expressed an interest to interact with dolphins in a ‘Swim With’ program (SWTD). Worldwide, SWTD programs have seen exponential growth in virtually every country around the globe, from tourist traps at ports of call for cruise ships, to hotels and casinos, to travelling pop-up circuses in the far reaches of the world. Slick literature with photos of people swimming, kissing, and being towed by dolphins heightens the tourists’ desire to plop down $90-$140 for 20 minutes in the water with them. The Dolphin as a ‘Beast of Burden’ becomes quite literal as 50% of tourists state that physical contact with the dolphin is required for a ‘positive experience’. Viewing a dolphin in a pool, aquarium or feeding pool, which does not result in physical contact was insufficient to hold attention of tourists for more than a few minutes. Tourists describe being ‘happier, more energized’ after a dolphin encounter and seek eye contact as an acknowledgement that the dolphin is somehow willingly participating in the interaction and therefore enjoying it. The ‘Whale Watchers’ Paradox’ describes the selfish nature of a human desire to get as close as possible to an animal even if acknowledging that this may have a negative impact on the object animal. Further misrepresenting the behavior of the animal through uninformed observations the participant falsely gives himself or herself the satisfaction that the enjoyment is mutual. Gone then are any thoughts or consideration of the effect on the animal or the many issues with their existence in that confinement for the enjoyment of the human visitor. It is quite simply easier to ignore the plight of the animal for selfish enjoyment even if that interaction is harming the dolphin. Adding to the popularity now is the “DAT” programs, or Dolphin Assisted Therapy that are being marketed as a cure-all for everything from Down Syndrome to Cerebral palsy. This remarkable phenomenon has invigorated the capture, brokerage, and captivity industry where hundreds of dolphins a year are sold for these programs. Numerous studies have debunked the myth of any magical healing powers in swimming with dolphins, and most scientists believe it has no more relevance than that of a household pet such as a dog or a cat. The myth that the dolphin donor can somehow heal is irrelevant in this setting as the sonar that dolphins use to navigate, track objects and communicate is rarely used in confinement because the sound bounces off of concrete tanks and does not give accurate information back to the dolphin. The issues with SWTD programs are many. Principal among them is that the popularity of over 50,000 people a year participating in the programs leads to more and more opening every year. Regions that have seen an explosion in the growth of these programs include the Caribbean and the South Pacific. These new aquaria must be stocked with trained dolphins which are often sourced from deadly drive fisheries leading to illegal capture and trade of dolphins year round. 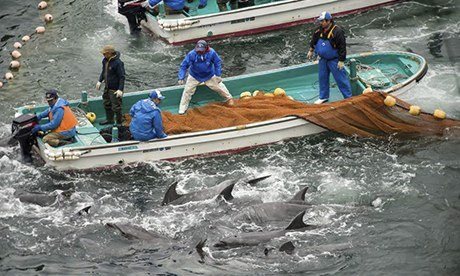 Secondly the health, well-being, and life of the dolphins in these programs is completely unregulated around the world. The conditions of many of the SWTD facilities to the untrained eye may seem fine, but in fact they are cesspools of excretion, disease, and death. Lastly, the transmission of disease between dolphin and humans is not widely known and is suppressed by the display industry. In a workers’ protection study surveying nearly 500 professionals trained in the proper procedures for handling animals and using protective equipment, nearly 2 of 3 participants had been injured or became sick from direct physical contact with a dolphin. 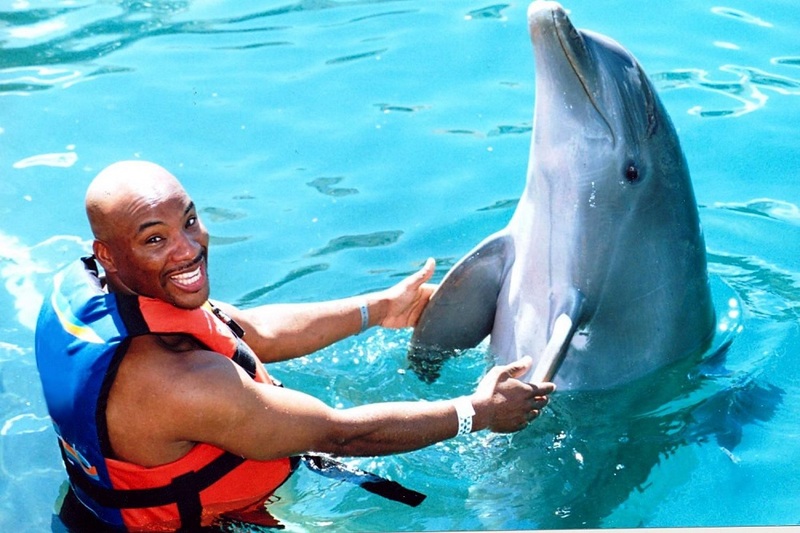 Tourists have no way of knowing the physical state of the dolphin they are swimming with, and certainly would not recognize if they were being subjected to rashes and other zoonotic transmissions. Sickness in dolphins in captivity is seldom discovered until the animal is dangerously close to death. A dolphin can not tell you it isn’t feeling well, and it’s keepers are not about to end the show when there are tourists standing in line. It has been reported that in the last three decades, more than five thousand dolphins have been captured for the purpose of display. It is further believed that for every dolphin sold into captivity, 14 are slaughtered in drive fisheries such as the one in Taiji, Japan. International Dolphin brokers hide from the public eye and many are associated with organized crime in Japan and Russia. Although Mexico and other countries have now banned capture and export of dolphins, several places in the world are actively involved in the trade. Because of the popularity of SWTD programs, more and more are launched every year. The sale of a single Dolphin for these shows can net $20,000 to $50,000 and is a powerful motivator for illegal Dolphin trade. Dangers – Are you swimming with a sick Dolphin? Because the display industry is widely unregulated around the world, and the business model of SWTD programs has accelerated so quickly in the last decade, records and statistics of injuries related to these programs are scant, and the information is in most cases dated. There have been some studies done regarding professionals in contact with Dolphins and there are some eyewitness accounts. Dolphins are large, strong, wild animals and even when well trained can be unpredictable and even to a trained observer, their behavior is easily misinterpreted. What may appear to a tourist as a dolphin that is happy, energetic and playful, may well be an agitated animal that quite literally has his back against the wall with no where to go. The fight or flee instinct kicks in, and the Dolphin has no choice but to lash out. Dolphins have been known to attack during swim-with sessions, especially males who may be sexually frustrated. Severe Trauma including broken bones, internal injuries, and wounds requiring hospitalization was as frequent as 1-in-3 of those surveyed. 89% of injuries were to extremities and 1/3rd of those required stitches due to a bite. Other severe injuries described included a dislocated shoulder, an amputation, a cracked sternum, and a woman received a broken arm when rammed by a dolphin. Nearly one quarter of the marine mammal survey respondents reported experiencing a skin rash or reaction. 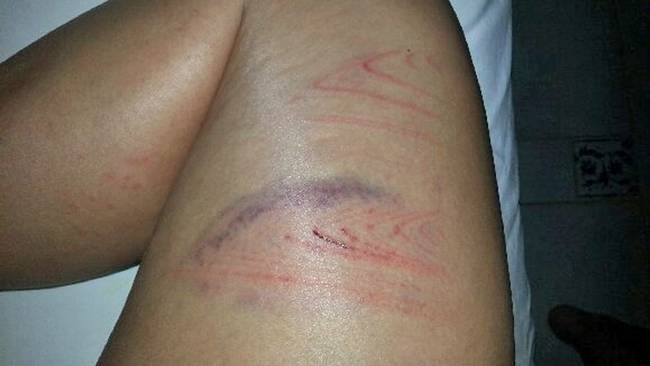 These rashes occur with exposure to excretions and vomitus in the water and on the skin of the dolphin. What appears to be a harmless blowhole exhalation at the surface is the equivalent of a human sneeze and viruses can be transmitted to the air. Physicians are hard pressed to treat symptoms of exposure to dolphins as they are unaware of the zoonotic pathogens and in many cases must consult with a veterinarian to determine a course of treatment. One medical doctor was quoted as saying “You can’t catch anything from an animal”. As the “Beast of Burden”, the dolphins have no say on how many hours they work. In some cases the dolphins are forced to interact continuously with tourists for hours on end ignoring their normal rest cycles. 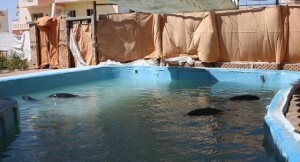 In many facilities dolphins are held captive in small, shallow pools with insufficient shade and no ability to dive deep and escape the sun and temperatures. Because the industry is unregulated the quality of care, food, and husbandry varies widely. Dolphins in captivity have been known to be fed rotten fish and suffer from disease and starvation. Sea Pen type enclosures are generally very shallow, allowing the dolphin no ability to dive, and dolphins may live in stagnant, contaminated water due to insufficient tidal flow needed to ‘clean’ the sea pens. In coastal tourist resorts, dolphins have been literally placed in the ‘Eye of the Hurricane” and have been killed and injured due to the facility not having resources to move them when a hurricane is approaching. Dolphins have a much shorter lifespan in captivity and live as slaves working long hours without rest, subjected to being chased and harassed by visitors and have no option to withdraw due to their confinement. People have been known to feed dolphins beer, hot dogs, sandwiches, candy bars and even marshmallows. 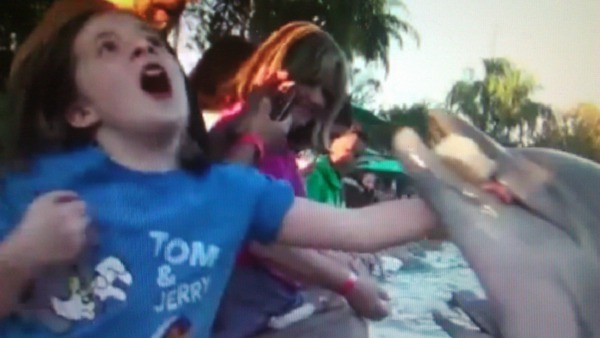 The average tourist knows nothing about what might be dangerous or even fatal to a dolphin. Dolphins have been injured by jewelry, watches, having their eyes and blowholes penetrated and by ingesting objects dropped in the water by visitors. It would be wholly selfish and uninformed to assume that the average person could look at a SWTD facility and make their own judgments as to the health and well being of the dolphins and the conditions of the facilities. Even highly trained marine mammal biologists, veterinarians and scientist agree that observing a sick animal based on behavior is nearly always too late. 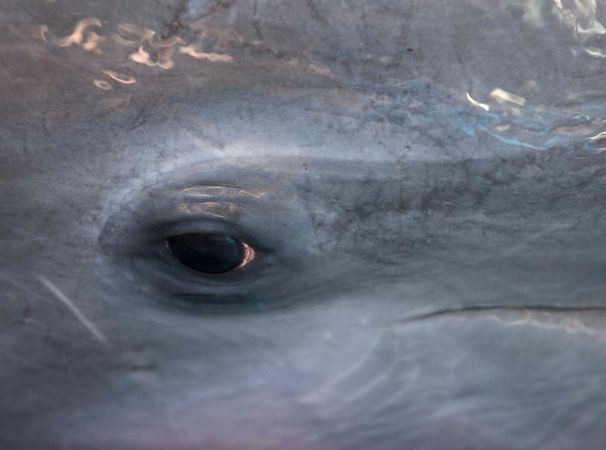 A high percentage of dolphins die within 30 hours of presenting recognizable symptoms. It is impossible for the ticket buying public to look at a dolphin and proclaim it happy, healthy, and enjoying the interactions. In the same vein, the conditions of the facility may seem on the surface to be clean and well kept. However there are dozens of factors below the surface that only highly trained and experienced professionals are able to detect such as water temperature, salinity, pH, etc. With regard to the facilities, the details of the animal husbandry routines, the qualifications of the staff, the presence of an on-site veterinary staff would not be visible to the public. These facilities all use carefully chosen phrasing to influence the visitors and the trainers in their branded wet suits infer authority and knowledge that in many cases is simply not true. 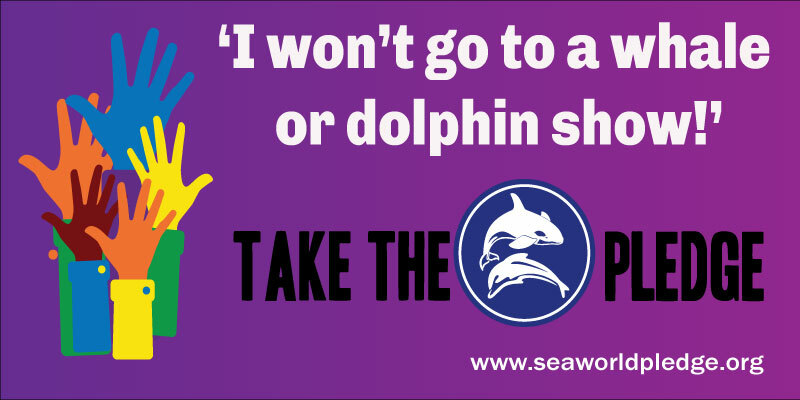 When you buy a ticket to a SWTD program, you are buying the death and captivity of dozens more dolphins. It is a selfish and near-sighted activity that is harmful to the dolphin and exposes you to sickness and injury. WSPCA: What’s wrong with swimming with dolphins?